Catelyn Stark by Amoka. . HD Wallpaper and background images in the House Stark club tagged: game of thrones catelyn stark. 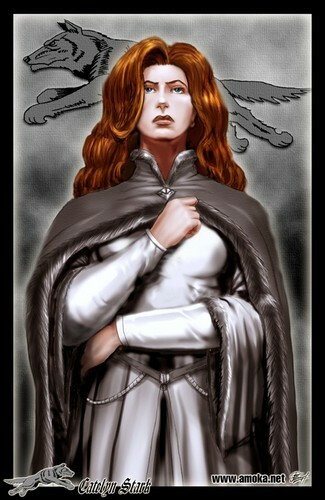 This House Stark fan art might contain overgarment, outer garment, cloak, and box coat.